Tosin Kehinde currently plays for Manchester United's under 23 side. Manchester United midfielder Tosin Kehinde has chosen to represent the Super Eagles of Nigeria over England. 19-year-old Tosin was given birth to in Lagos but is eligible to play for England. 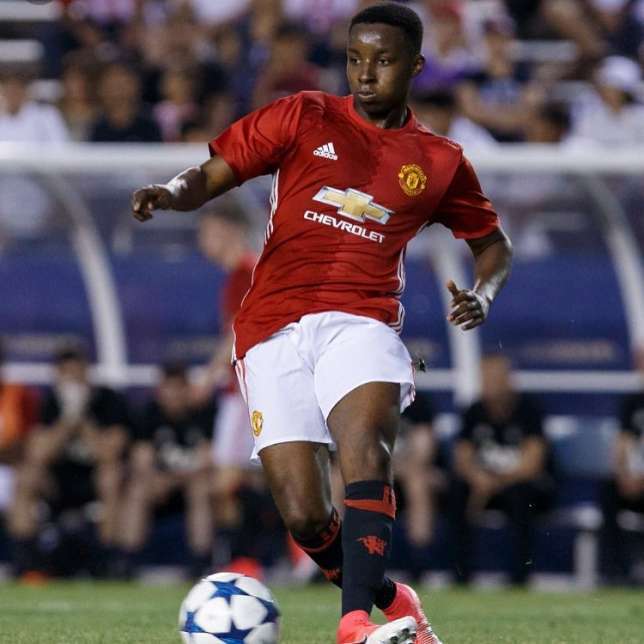 Tosin has turned out for Manchester United at several age-grade levels and is currently with the U-23 side. He has been called up by Jose Mourinho to the first team set up but is yet to make an appearance for the senior side.